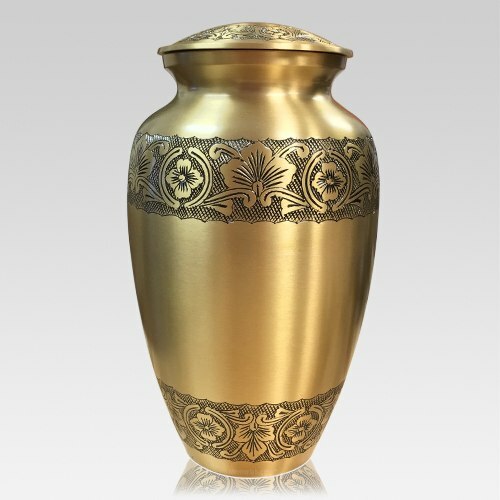 The Imperial Cremation Urn is made from cast brass with a polished finish. It features hand carved motifs and has a perfect coat to preserve its brilliance. The urn will create a peaceful memory for eternity, made by Italian motives. "You did an excellent job in handling my mother’s cremation urn. The price was fair and reasonable against what the funeral home wanted to charge me. Once I placed my order everything was taken care of from the customer service department. I am very satisfied with their product and service. Great job, well done. "